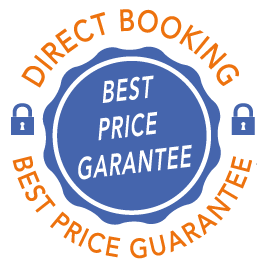 To book a room directly with the hotel, we need a deposit as garanty or a credit card details. When we take credit card details, we don’t withdraw from your bank account. The day of departure, you must pay your bill at the reception. If received more than 8 days before the date of the booking, the deposit is refunded. If the cancellation is made 7 days or less before the date, there will be no refund. Any room booked remains due. If you don’t cancel your room, your credit card will be charged. You can not use your deposit for another stay. The restaurant is closed every Wednesday all day and on Saturday for Lunch. It remains opened for our guests breakfasts. All arrivals are from 03 pm to 08 pm. If you will arrive after 08 pm. Contact the front desk to know the night instructions. The day of departure you must leave your room before 11 am. Be carreful, the Hôtel is sometimes in a pedestrian area. If you want to drop your lugages with your car. Contact the Font desk to get a single city code. All car park are about at 400 meters from the Hôtel by feet.